The Italian company New Media Publishing is taking its Disney-licensed Wizards of Mickey Trading Card Game Europe-wide in September with the release of English and French editions of Wizards of Mickey TCG: First Age (Origines in the French Edition). 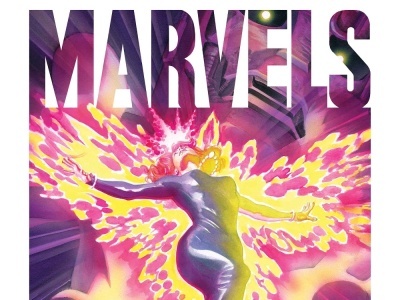 The game puts popular Disney cartoon characters such as Donald Duck, Mickey Mouse, Goofy, Daisy, Minnie Mouse, Magica de Spell, the Beagle Boys, and the Phantom Blot into a magical realm of powerful dragons, mighty wizards, cunning hags, resolute witches, mysterious castles, and powerful spells. So far no announcement has been made about any possible U.S. release of the game. The Wizards of Mickey TCG features never-before-seen-art by top European Disney artists and plenty of references to popular Disney comics. The innovative, easy-to-learn game-play system focuses on playing and bluffing skills. The game will be available in a 2-Player Starter Set Decks (that pits Donald and Mickey against longtime foes the Beagle Boys and Peg Leg Pete) and in 6-card Booster Packs. 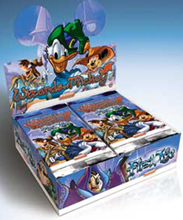 New Media launched The Wizards of Mickey TCG in Italy in 2008 and it quickly became one of the top-selling games in the country.